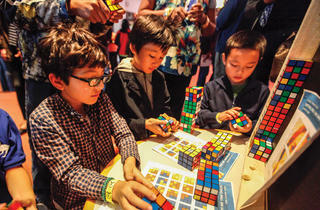 Liberty Science Center is feting the 40-year anniversary of the Rubik's Cube with an interactive, 7,000-square-foot installation where kids can play with the 26-foot-tall Groovik's Cube, which is so big you need three people to work it; check out robots that solve the puzzle faster than people can; play a kid-friendly game called Cube Match; and contribute to a collaborative mural. 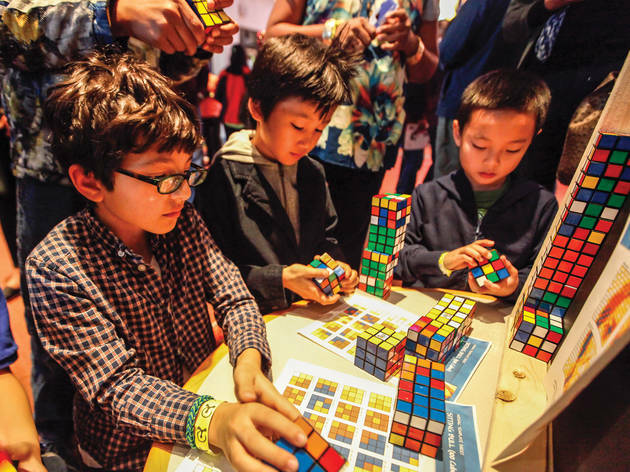 They'll likely be inspired by the artifacts—rubber bands, paper clips and wood blocks—Hungarian-born Emo Rubik used to come up with the iconic 3-D invention in 1974. All ages.